Divorce is difficult and complicated. However, because there are some different rules and specifics to consider, going through a military divorce can feel like even more complicated. Why is a military divorce different from a civilian divorce? Under the law, there is technically no such thing as a military divorce. Civilian and military divorces are legally the same. However, different rules apply to some aspects of the process. When one or both partners serve as active duty military members, there are both state and federal laws that stipulate when the military member can receive a divorce summons, how the court handles the division of a military pension plan, and how parenting plans should be handled by the court when a member is deployed outside the region. There may be different rules as to which state has jurisdiction. How can I file for divorce from my active duty spouse? After filing for divorce, one of the first things you must do is have a process server or other representative serve your spouse with a copy of the summons and the remainder of your filing. If your spouse is currently serving overseas or stationed in another remote area as an active duty member of the military, this can be a fairly difficult process, requiring strict compliance with several important steps. In fact, the court can postpone your divorce until there is full compliance under the Soldiers and Sailors Civil Relief Act. Similarly, if you are the deployed military member, the courts work hard to ensure that you have fair representation and an opportunity to be heard. Just because you are overseas or on a remote assignment, does not mean that we cannot effectively represent your interests. We frequently work with members who are even stationed in war zones such as Afghanistan and Iraq. We can also still help you file for divorce even if you will not return to the Spokane area for a significant period of time. Is asset division different for military families in a divorce? Asset division in a civilian divorce and a military divorce have a lot in common. If the former partners cannot agree on how to divide their family home and other valuable assets, the courts will make the decision for them based on state laws dictating community and separate property. However, there are important differences you need to know about when it comes to division of some assets specific to service members. There are federal laws that dictate when and how courts can divide or distribute military retirement plans. The primary law involved is the Uniformed Services Former Spouses’ Protection Act (USFSPA). If the marriage lasted less than 10 years, the military will not honor an order to share any military retirement income with the former, nonmilitary spouse. If the marriage lasted longer than a decade, the court has the power to order the retirement split between the spouses and the military will honor a direct payment according to this order. This does not mean that the community retirement of less than a 10-year marriage is lost: It simply must be factored into other aspects of a property division. It is important to note that the court does not consider military disability pay from the U.S. Department of Veterans Affairs divisible, so you cannot directly collect a portion of this type of income from your former spouse. Again, experienced legal counsel can often persuade the court to make other accommodations to the non-military spouse from other assets. How does being in the military affect support and child custody? Washington has published child support schedules that apply to any couple with children who seek a divorce. These guidelines apply the same way to an active duty member of the military and to a civilian. However, military members receive other benefits that the court can use to set support if these benefits are brought to the court’s attention. These benefits include BAS (Basic Allowance for Sustenance), BAH (Basic Allowance for Housing), Flight Pay, Hazardous Duty Pay and other benefits. By making the court aware of all income sources, an appropriate child support payment can be calculated. If you are an active duty military member, there are laws protecting you if you are required to relocate due to your duty orders or are facing temporary assignments to a different region. This can include allowing a spouse or family member to provide care under certain circumstances. We can look into your situation and determine what protections are available for you. Do I need a divorce attorney to help me with my military divorce? We can help you navigate the divorce process in several ways. First, we can determine if Spokane is the proper jurisdiction to file your divorce. Washington State does not require you to live here for a certain length of time before filing, so even if you were just stationed here or recently moved to the area, we can likely handle your divorce. If you have temporarily moved from the area but want to file in Spokane, we can likely help you with this filing. We can then help you understand how the federal and state laws about military divorce apply based on the facts of your case. We can ensure that you properly comply with all laws regarding service on an active duty military member. We can protect the rights of the active duty military member. We have substantial experience in all of these areas. Most importantly, we can help you reach a fair settlement in your divorce. We prioritize things that matter to you, like child custody and support. We work to ensure you have the best financial standing possible after your divorce, and to help your children have a positive relationship with both you and the other parent. 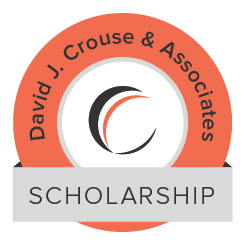 Call David J. Crouse & Associates, PLLC for help today. You do not need to go through this complicated process alone. Call David J. Crouse & Associates, PLLC today at 509-624-1380 to schedule a time to discuss your military divorce.